Here at Wood Veterinary Group, we are committed to protecting and respecting your privacy. All data will be processed, stored and disposed of in a secure, clear and transparent way in line with GDPR. 2. What data do we need from you? We need full, accurate and up to date contact details – title, forename, surname, address, postcode, mobile telephone number, home telephone number and email address. Please be prepared that we may ask you to provide ID to confirm these details at anytime. In order to enter into a contract with us to provide veterinary care for your animals, these details must be provided. In line with the legal basis of providing veterinary care as a contract, your data is used to contact you regarding the treatment of your animal and payment for this treatment. This includes appointment reminders, processing of insurance claims, submission of laboratory tests, referral to other veterinary facilities and contacting your normal veterinary practice if we provide out of hours treatment for your animal. If you would like to receive communication from us regarding services we provide such as vaccination reminders, preventative treatment reminders, special offers, new services, event information and newsletters you must provide us with consent to process your data in this way. You may withdraw your consent at any time by contacting our Reception Team. Your data may be processed without your consent if required by law. All data stored electronically is within a password protected, veterinary specific software programme accessible only by Wood Veterinary Group Staff that need access. Our computer system is protected by anti-virus and anti-malware programmes and firewalls. All data stored in hard copy is stored in staff only areas accessible by fob and locked. Any data that requires disposal is stored securely before being shredded on site. To learn how to disable cookies on browsers please click here – https://support.google.com/accounts and view our practice Cookies Policy. – Write to us at Wood Veterinary Group Ltd 125 Bristol Road, Quedgeley Gloucester GL2 4NB stating your full name and contact details. To disallow any further images of your pet on any of our social media and practice website pages, please e-mail us at office@woodvet.co.uk or write to us at Wood Veterinary Group Ltd 125 Bristol Road, Quedgeley Gloucester GL2 4NB to update your preference. We will never use client pet photos in any of our advertising features without prior client consent. We aim to keep the Personal Data we hold about you accurate and up to date. If you tell us that we are holding any inaccurate Personal Data about you, we will delete it or correct it promptly. Please e-mail us at office@woodvet.co.uk or write to us at Wood Veterinary Group Ltd 125 Bristol Road, Quedgeley Gloucester GL2 4NB to update your Personal Data. Wood Veterinary Group and Apollo Veterinary Services (from here on known as “The Practice”) are a mixed Veterinary Practice based in Gloucester. We are committed to processing all data in a clear and transparent way and storing and disposing of all data securely in line with GDPR guidelines. The Practice will collect and securely store your data (primarily names, contact details and payment details) and we will only use it in order to contact you and fulfil an agreement with you for goods and services provided. Your data will not be shared to any third parties without your prior consent unless required to do so by law. The Practice will provide you with correct data and will inform you as soon as we are aware of any data inaccuracies. We will obtain consent from the data provider to share their data before passing in on to you unless required to do so by law. 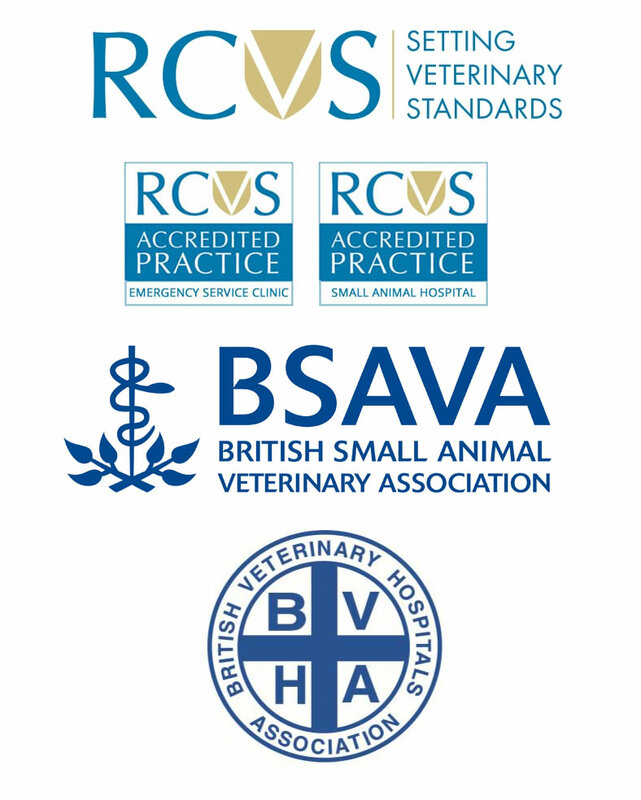 Data provided that is necessary to fulfil a contract of veterinary care for an animal in the event of treatment by our Out of Hours service or at a referral centre will be provided in line with this contract. We will ensure that the data we provide to you is adequate for the purpose you require but we will not provide any details that we do not deem to be necessary for your purpose. The practice will ensure that all data that you provide is stored securely and used only for the purpose that you provided it. The Practice will ensure that no data is stored outside of the EEA. In line with GDPR, breaches will be reported to the Information Commissioner’s Office within 72 hours. In the case of a major breach affecting your data or data that you have provided to us, we will contact you. When visiting either of our sites at Quedegely or Longlevens, please complete the Visitor book as requested by reception providing clear and legible details. Please be prepared to show formal identification to our Reception team. When parking or manoevering vehicles and goods on our site, please be aware of safety at all times. A member of staff will accompany you to the department within the building that you require. Please do not use any electronic devices for recording audio or visual whilst on the premises. Please sign out before exiting the premises. In the case of an emergency, please use emergency exits provided unless directed otherwise by the emergency services or by a member of staff (identified by wearing uniform with The Practice logo).